The May issue of Sailing World has a piece on blind sailor Vincent Morvillo. 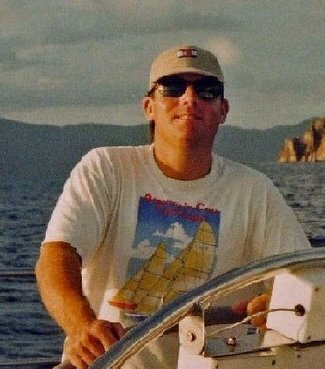 At the Ensign Nationals in Newport, R.I. in 2004, Vince (a former Blind Sailing World Champion) beat a fleet of 40 boats all driven by skippers with sight. At the time he was 60 years old...and had been blind since his 20's. Here’s a 2004 interview with Vince on Anarchy. During the course of the interview he responds to a question about how he “feels” his way through the course by saying, “If you think about it when you feel the change in the boat, the worst has happened. Speed is a function of not letting things happen that reduce speed.” Next time you’re out on your local course close your eyes on an upwind leg and let your other senses guide you (and may the force be with you). Most of us depend on sight, but I think we use other senses more than we know. On a related note, Knowles Pittman died April 28. If you haven’t read it there’s a great tribute in Scuttlebutt from his friend Bruce Kirby. Pittman started the grass roots publication One-Design Yachtsman (now Sailing World) in 1962. As Kirby writes, “Until then there had been publications that published stories on big boat events on the east and west coasts, with perhaps an annual mention of the Chicago Mackinaw Race. The middle of the country, and the small boat sailors that swarmed over the lakes and rivers of this vast area, were pretty well ignored.” Both of these men have and, in the case of Vince, continue to contribute immeasurably to the culture of sailing.